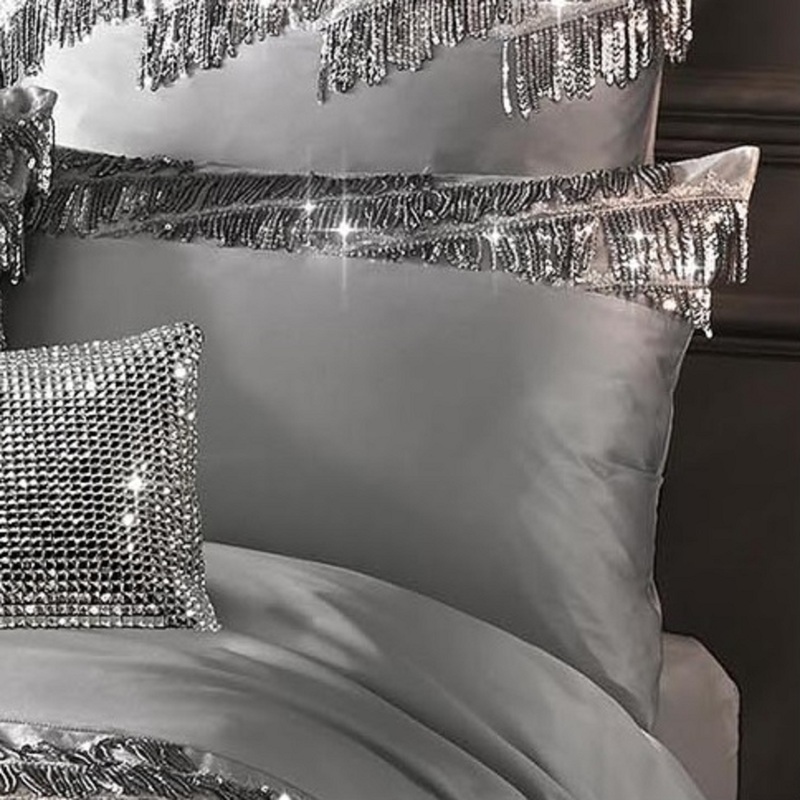 Make a statement in your bedroom with the ultimate Kylie boudoir bedlinen, Eliza. 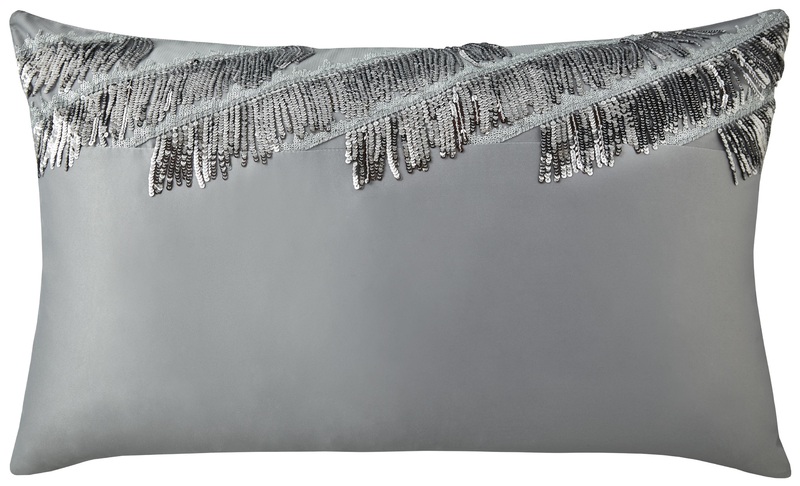 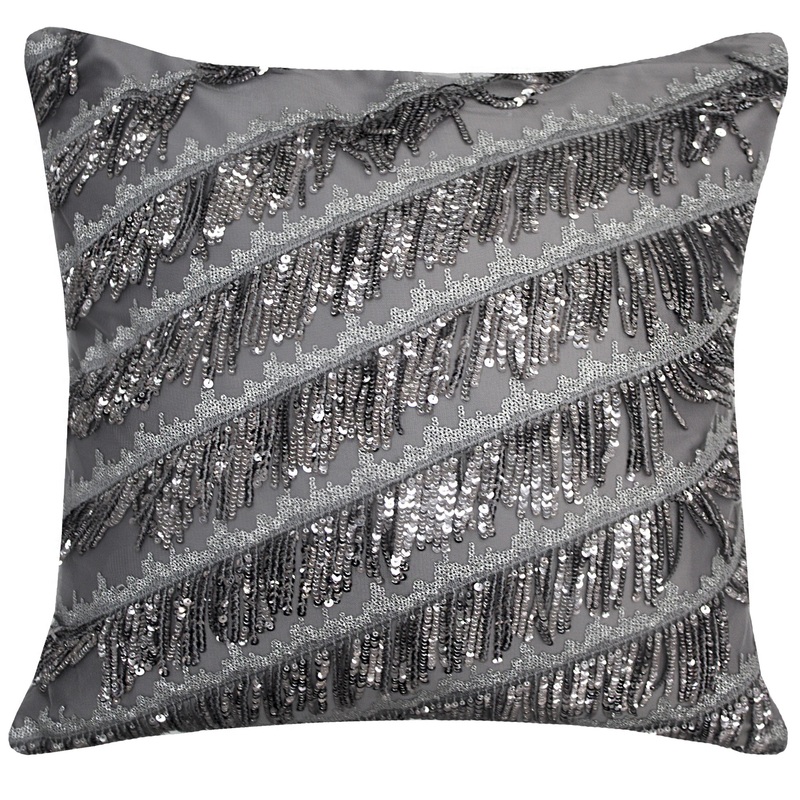 Delicate rows of shimmering pewter sequin tassels run across the exquisite Eliza bedlinen. 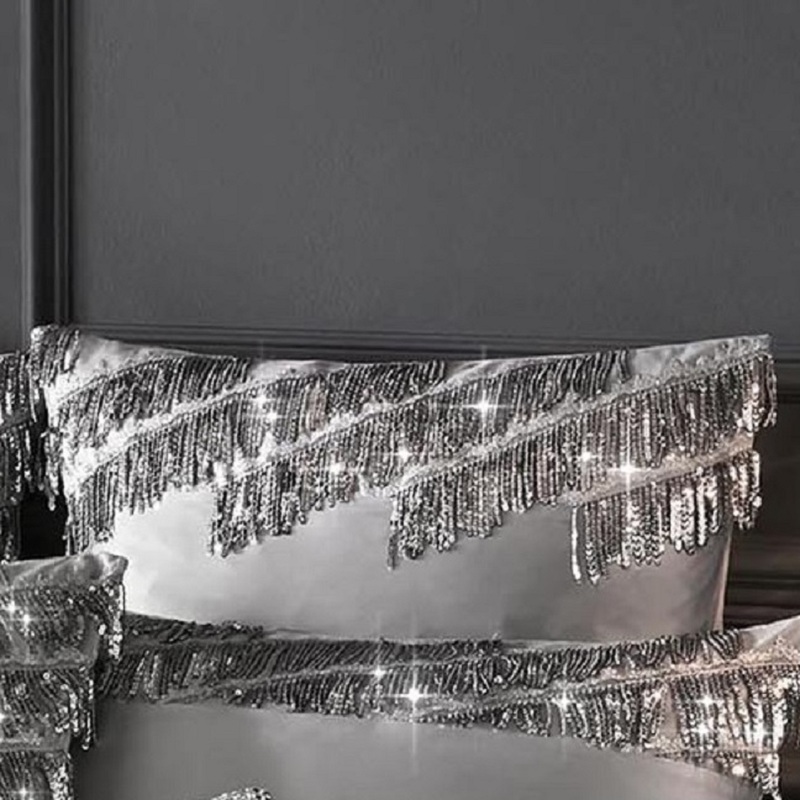 Reflecting the showgirls signature style, the sparkling tassels sitting on soft pewter satin will bring a touch of Kylie glamour to your bedroom. 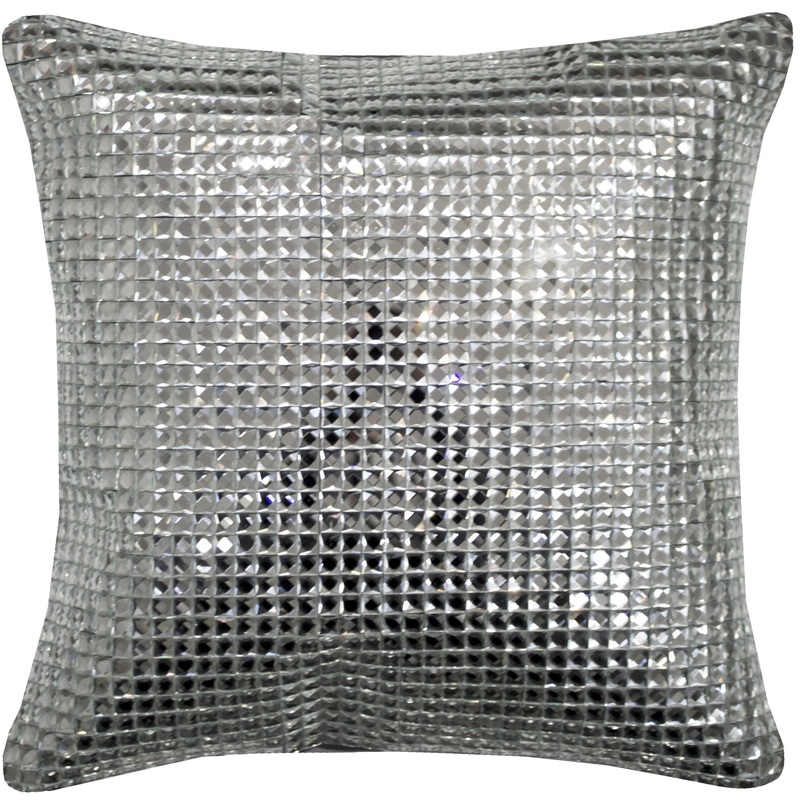 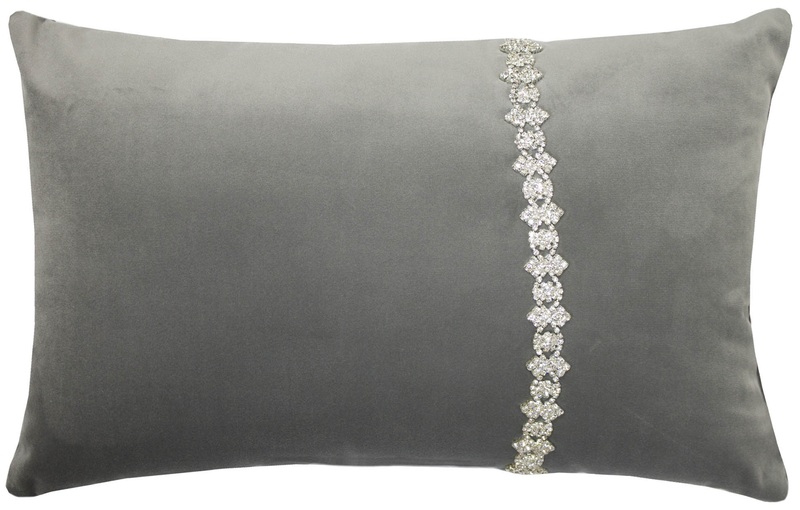 For even more sparkle, add the Eliza cushion and a selection of jewelled accessories. 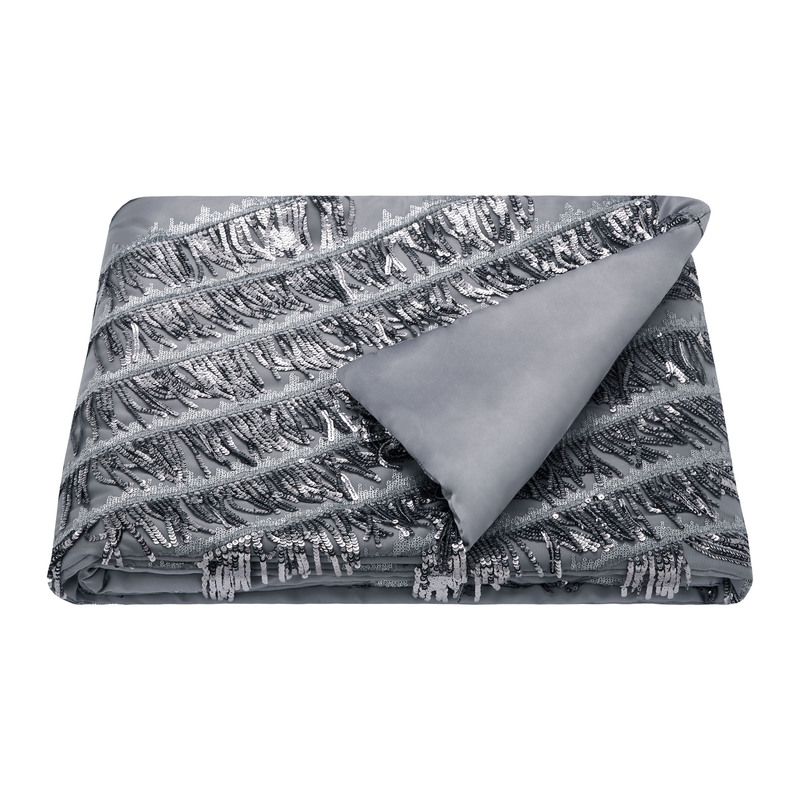 Please note that duvet covers don't include pillowcase/s, and each pillowcase is sold separately.